In 2018, Study.com ran a survey that found 1 in 5 teachers witness bullying in the classroom every day, yet only 23% of teachers feel confident educating students about bullying. Shocked by these stats, Study.com collected bullying prevention tips from experts in the field to better support teachers working to address bullying every single day. 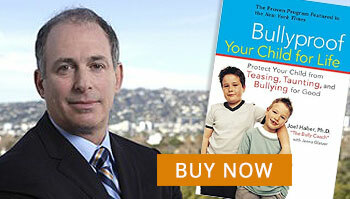 Along with 20 other bullying experts, I was able to provide a my expertise. The number one bully prevention strategy for teachers may surprise you, but it has to do with their own role-modeling of behavior. Teachers can set a tone and a positive, inclusive culture by being very careful about their own gossiping, exclusion, and verbal bullying towards other teachers. Because teachers are human, like the rest of us, it is normal to create a social hierarchy amongst their teacher peers. If students see their role models diss others or use any type of bullying behavior, it is guaranteed that students will follow. When teachers set a tone to include teachers, not speak badly about others, and include those adults (and students) that are part of their community, students rise to the occasion and follow their adult leaders! As an educator or parent, if you see a need for bullying preventing in your child’s school, contact me to set up a time where we can discuss your needs and schedule a time for me to speak to your school administrators or parent group. Dr. Haber has over twenty years of experience as a clinical psychologist and internationally renowned bullying prevention expert. He has served as corporate bullying consultant to major consumer retailers and international technology companies and leads workshops and conferences for thousands of executives, senior staff, and educators each year. Dr. Haber is a prolific anti-bullying speaker and author of the internationally acclaimed, Bullyproof Your Child for Life: Protect Your Child from Teasing, Taunting and Bullying for Good, published by Perigee/Penguin, and he is also co-author of the new book The Resilience Formula.